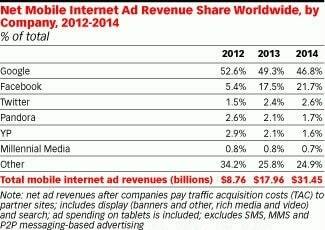 Mobile advertising is booming but that the two-third of the global mobile market is controlled by Google and Facebook itself. A recent report revealed that having more than tripled its share of the market from 2012 to 2013, Facebook is nearly controlling the growth in the global mobile ad industry. Google at the same time remains the dominant force with just under half of the mobile ad market with 49.3%, which has declined slightly from 2012 when it enjoyed about 53% of the market. The report also revealed that the overall global mobile advertising market more than doubled in 2013 to almost $18 billion, and is set to grow another 75% this year. Talking about the other social media sites, Twitter happened to be the only major player after Facebook to log an increase in its share of the mobile ad market, up from 1.5% to 2.4%. Getting more and more share in a growth market can do wonders for a company. In fact, if you talk about the social networking giant, Facebook, more than half of its fourth-quarter earnings in 2013 came from mobile ad revenue. As per the report, Facebook had no mobile ad revenue as recently till 2011 but it has sent shares in the company up more than 150% in the past year before spotting the position of the second-largest player in the space. If truth be told, this was the income that also held the social media company with financial footing for the $16 billion acquisition of WhatsApp, another major mobile play. 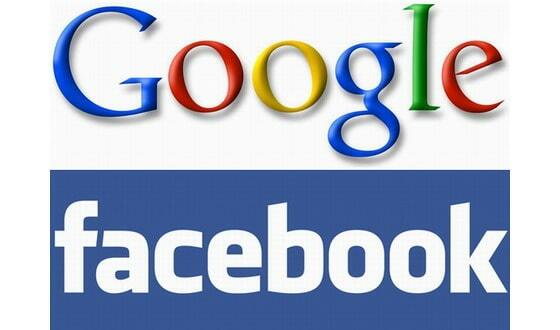 However, the report also stressed that while Google and Facebook are making up for the top two spots, other notable US. Digital companies like Microsoft, Yahoo and AOL are missing a lot. But then, as far as Yahoo is concerned, the company is planning to make inroads in the mobile market as it was recently disclose by Yahoo CEO Marissa Mayer that the company has 500 mobile-focused employees at present, which is a significant increase since she joined the company. Besides, although a little different even AOL has some farsighted plans as the company heavily investing in online video advertising, which is again another growing market in the overall digital ad industry.